You can get plenty of bang for your buck(s) buying gas and food with Discover it® chrome’s cash-back program. 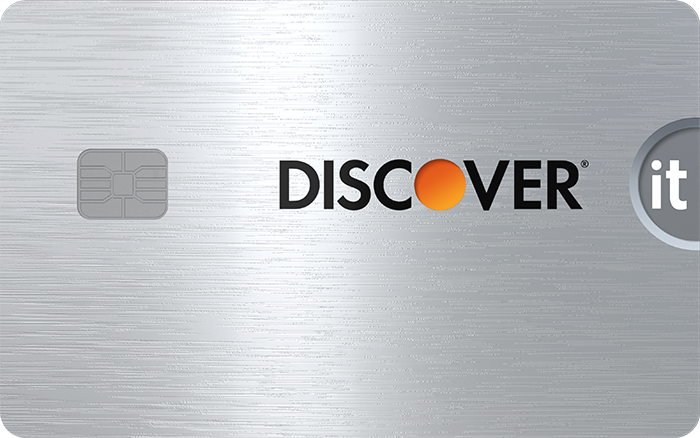 Discover is a credit card issuer that likes to match its products against those of its heavy-hitting rivals. The web pages for its marquee cards feature a chart comparing that particular Discover plastic against a comparable rival from Chase, Capital One, American Express, etc. That’s because Discover credit cards can go the distance with many of the higher-profile rivals. Case in point the Discover it® chrome, a card that earns cash back in two major product categories, and features several very attractive come-ons, particularly intro bonuses. Double cash back in the first year -- A unique Discover perk, this potentially lucrative feature has the issuer matching your annual cash-back earnings 1-for-1 after the first year. 2% cash back gas and restaurants -- This elevated rate applies to spending on gas and restaurants, on up to $1,000 in combined spending on the two categories every quarter. This is a permanent rate; unlike rival cards with enhanced cash back, the elevated level doesn’t rotate among categories on a quarterly basis. All other purchases earn 1% cash back. No annual fee -- This common credit card fee is absent in this product. 0% intro APR for 14 months -- This is a generous intro APR for purchases and balance transfers. Note, the go-to variable rate applies after the promo period expires. No foreign transaction fees -- Buy as much as you like in other countries -- Discover won’t charge the standard 3% transaction fee other issuers charge. FICO® Score for free -- This can easily be accessed through Discover’s web, app, or in every one of your monthly statements. Besides the score, users can see details about five factors that impact it. The score can be tracked, too; Discover holds up to 12 months of this data. Flexible cash-back redemption -- Cardholders can redeem their earnings at any time, at any amount. Plus, those earnings never expire. In 2019 I’ll celebrate my 25th anniversary of being a published business and finance writer. Over that stretch I’ve done time as a news and radio reporter, editor, and publisher of all manner of financial news and analysis. I complement this experience and knowledge with ownership of a wallet’s worth of credit cards. This mix of personal and professional exposure to credit cards and the business behind them gives me good insight into the pluses and minuses of individual credit cards. 3% balance transfer fee -- Although the 0% intro balance transfer APR is helpful, it would really get a boost if Discover didn’t impose this fee on such activities. Base cash-back rate -- The standard (i.e., any product/service category that isn’t gas or dining) cash-back earnings rate on this card is 1%. While this is a common rate among the best cash-back credit cards, it’s worth noting since I’ve not come across the perfect credit card that nails every perk. Flat rate -- These earn at one consistent rate, no matter the product/service category or time of the year. Elevated rate -- These pay out more in certain categories, which may or may not shift on a regular basis, generally once per quarter. The motivation for getting a cash back card is usually straightforward; a customer wants to earn a good return on their purchases from the issuer. Therefore, the prime consideration should be how much cash back the purchases on a card generate, and whether that coincides with what you tend to spend money on. A product that pays an elevated cash back rate for travel and restaurants, for example, isn’t going to be very useful for those who like to stay at home and feed themselves. You should also seek out cards with no or justifiable annual fees. The competitive landscape is full of high-quality credit cards without annual fees. Not charging one is practically table stakes among the major issuers. That isn’t to say you shouldn’t pay an annual fee. Some cards charging this fee offer sky-high cash-back rates. If you spend heavily in those bonus categories, you may net more rewards than not paying a fee. One simple calculation you can run to find the breakeven point on an annual fee is to divide that fee by the percentage yield you’ll earn for rewards. For example, the breakeven point is $1,583 on a groceries card earning 6% cash back and charging a $95 annual fee. Spend more than that amount each year and you’re net positive. Applicants with a high likelihood for approval will have good to excellent credit and a FICO® Score of at least 670. I wanted to dive deeper since credit scores aren’t the only factor weighed in a credit decision so I sniffed out some anecdotes from forum postings to get an idea of the sort of borrower that might be granted a Discover it® chrome. The lowest reported FICO® Score figure appears to be just under 650. The two big guns in Discover’s cash back card arsenal are roughly similar. Both offer twice the bang for your buck with double cash back in the first year, and similar feature sets (FICO® Score for free, flexible redemption, etc.). The key difference is the elevated cash back categories. So, basically, a choice between the two cards boils down to how much you drive, and how much (and often) you eat. For those who pull into the pump every few days and dine out frequently, the Discover it® chrome is probably the wiser choice. Those who aren’t, and can discipline themselves to activate quarterly bonus categories and concentrate spending in those 5% rotating categories might be better served with a Discover it® Cash Back. With its doubly high cash-back earnings for gas and restaurant spending, the card has obvious appeal to those who drive and eat out frequently. It’s also got enough perks and first-year bonuses -- particularly the Discover-only Cashback Match™ -- for many types of consumers to use as their main cash-back card. A lot of spending can be front-loaded. Thanks to that 14-month 0% intro APR, big-ticket buys can be made on the Discover it® chrome card just after it arrives in the mail, then slowly paid off over that 14 months. And effectively for free, as that balance won’t accrue interest. For those who don’t mind taking a hit from the 3% balance transfer fee, the Discover it® chrome could be good for transferring balances from other credit cards. As with the 0% intro APR, that 14 months provides plenty of time to take care of that particular business.